These full mantel surrounds frame your fireplace with style and grace. Paint or apply a faux finish to these Hydrocal, non-combustilbe white gypsum, cast plaster mantels. 0" clearance required since they are Class II Fire-rated! 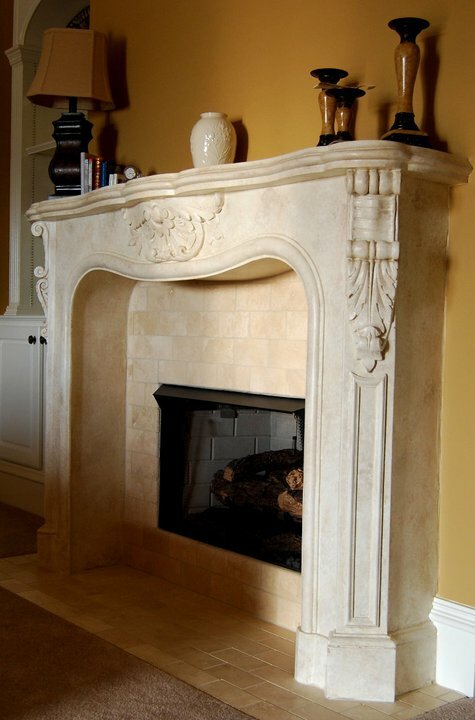 Our paintable gypsum stone mantels are available in several distinct designs that are the perfect centerpiece for any room. Each one is hand-crafted to create a smooth white surface to be painted or have a faux finish applied. These stone mantels are easy to install, requiring only simple tools and limited carpentry skill. Each mantel surround is non-combustible in accordance with ASTM-136 and has a Class II Fire Rating (flame resistant), thus no space is required between the mantel and the firebox.